I can’t believe how fast this year is going! I’m pretty sure April has gone by in a flash; I am not quite ready for summer yet! I love doing a round up of my beauty favourites each month and I’m really glad that these are my most popular posts with you guys as well. This months round up includes Nip&Fab, Clarins, Smashbox, Becca, Real Techniques, Essie and Biore. 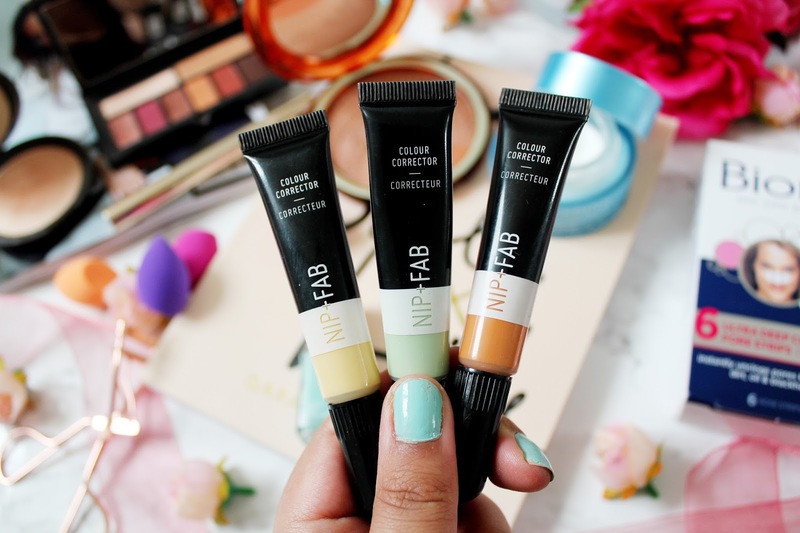 Colour correcting is the biggest makeup trend around right now and for good reason. Who doesn’t want to have a completely flawless base? I absolutely adore using the Nip&Fab colour correctors before applying foundation and I blend them into my skin with a Real Techniques complexion sponge. I have 3 out of the 4 shades available from the range. My favourite is probably the Banana shade. The banana shade you can use to conceal dark circles and brighten points of your face. Peppermint can be used to cover blemishes and to reduce irregular skin pigmentation. Terracota can be used to conceal under eye circles and dark spots. I am having a bit of a moment for Real Techniques sponges. I think they’ve been reformulated, as these sponges are amazing! I love the miracle complexion sponge and these mini versions are perfect. 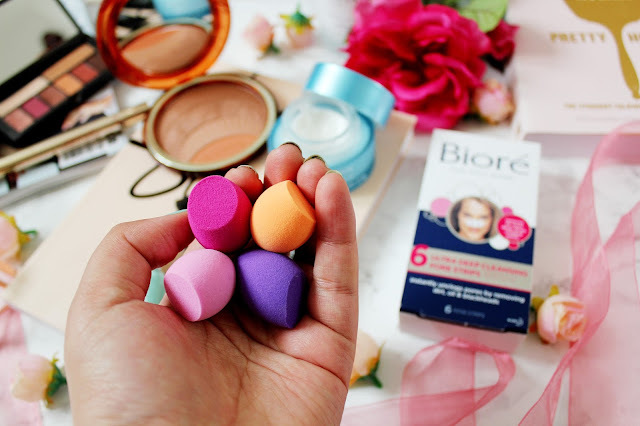 I love the colours of these sponges and how easy they are to use. I love using these to set my concealer, set my powder and to blend in cream products. This palette is an absolute dream! I featured this in last month’s beauty favourites and have used this palette everyday since it came into my life. The colour pay off of these eye shadows is amazing and they last on my eyes all day. My favourite colours are the crease colour (top left) and the pink and brown shimmer shades. 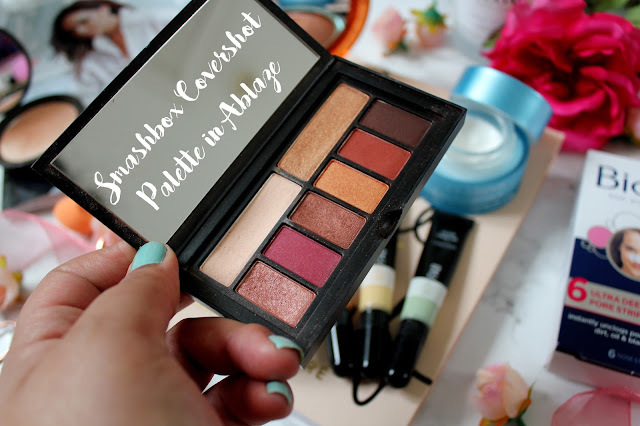 I love how this palette has a mix of shimmer and matte shades in it as well which makes it perfect for day wear and night wear. 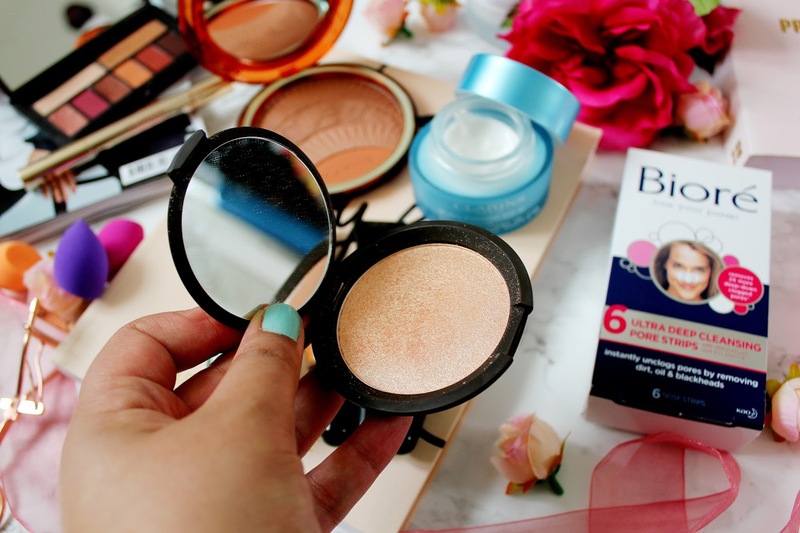 Unless you’ve been living under a rock, you will have heard of the famous highlighter, Champagne Pop by Becca cosmetics. This collaboration was with YouTube star Jaclyn Hill and it’s stunning. You only need the smallest amount to make a real difference to your everyday makeup. There are multi-toned pigment pearls in the highlighter, which adjust to your skins natural undertones meaning this highlighter will sort all skin tones and make up looks. Ever since I repurchased this shade from Essie it’s been on my nails all month. I love how this is a great spring and summer shade and with two coats of nail polish the colour pay off is amazing. I love how this lasts a good 4/5 days without chipping too. 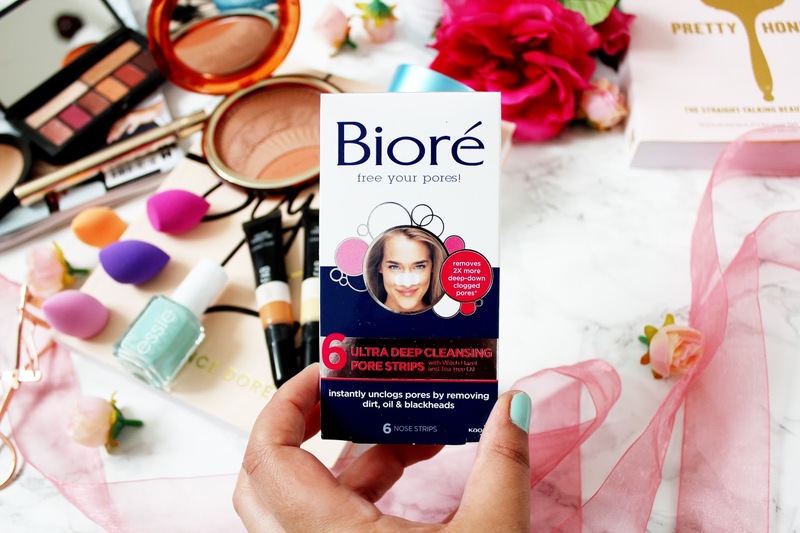 I’ve never used any products from Biore until this month and I’ve been really impressed with these pore-cleansing strips. I think it’s really important to look after your skin and these strips are helping me feel more confident as not just my pores but my blackheads look visibly smaller as well. I’ve featured this moisturiser a few times on my blog lately and I absolutely adore it. I discovered this moisturiser thanks to a sample in an issue of Glamour magazine. My skin has felt so dry and dehydrated lately and this has fixed my skincare issues! I use this before applying foundation in the morning and also at night once I’ve removed my make up. I’d highly recommend this to anyone who is looking for a fix for dry and dehydrated skin. I’ll be repurchasing this as soon as this runs out! 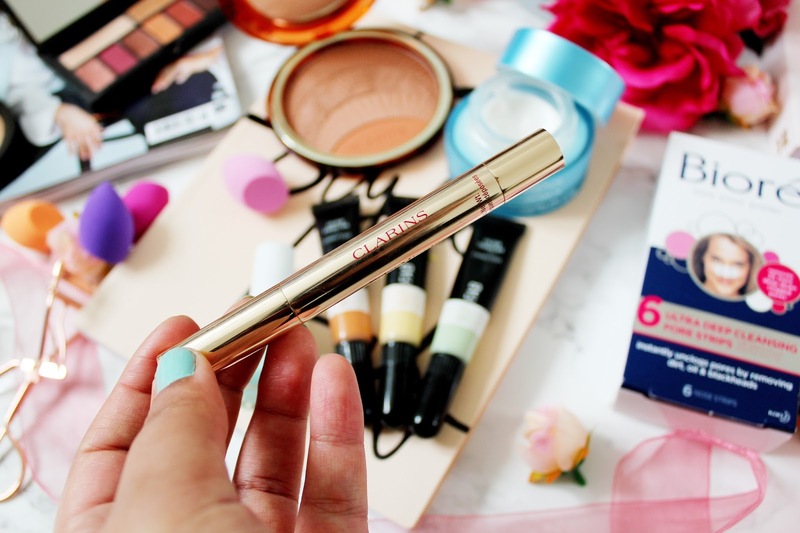 As much as I love my Urban Decay Naked Skin Concealer, this concealer from Clarins has been a real favourite of mine this month. This concealer helps to illuminate my skin thanks to the ‘light optimizing’ affect it gives. I like to apply this under my eyes, sides of my nose and to the points on my face where the skin catches the light to give a dewy natural look. Boots points are a blessing but also a curse. They are so tempting to spend but what I try and do now is save up my points for a special makeup purchase and this Clarins bronzer and blusher compact is one of them. 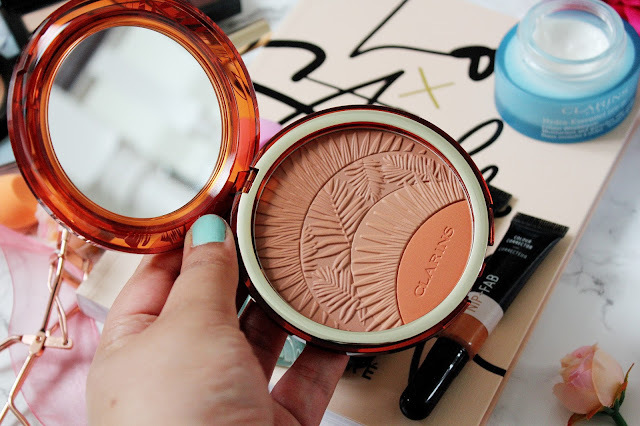 The design of the powder is so intricate and the mirror on this bronzer is huge which makes it perfect for travelling with. If you’re looking for a high quality bronzer and blusher to match, then you need to try this out! 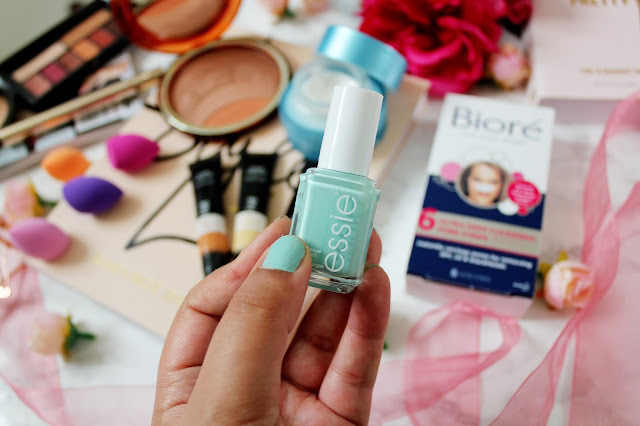 Have you tried any of these beauty products? 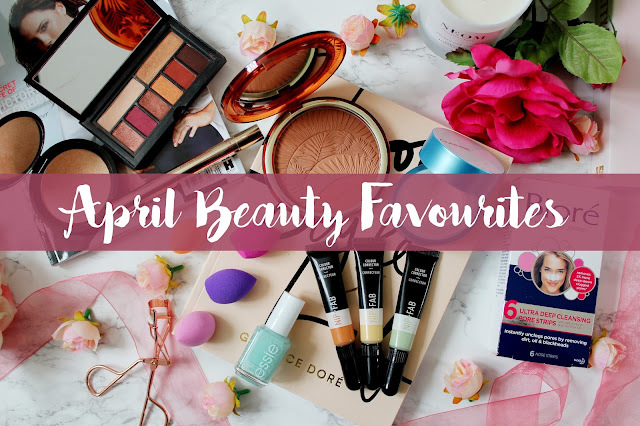 What's been your favourite beauty product this month? 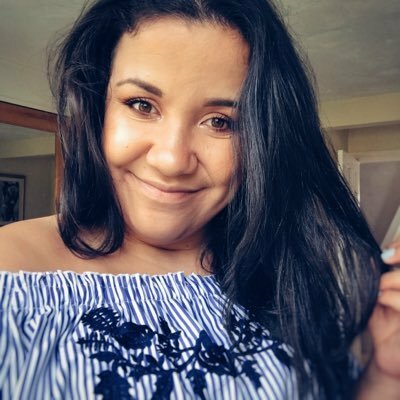 I'd love to read your recommendations! 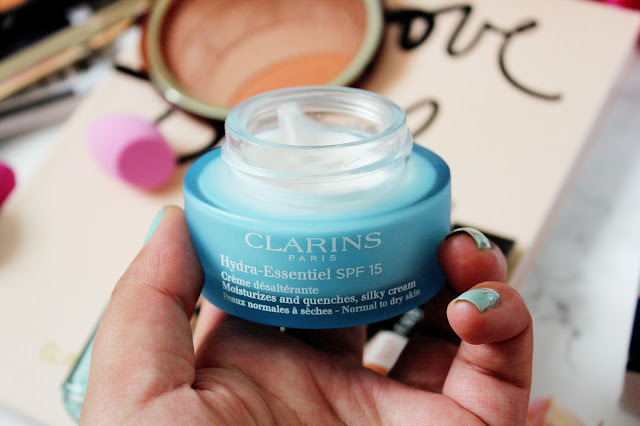 I've been using that Clarins moisturiser ever since getting a sample too! It's costly but I had acne and was using all anti-acne products, which were just making my skin so much worse (both dry and spot covered), when I swapped to this it cleared up completely!